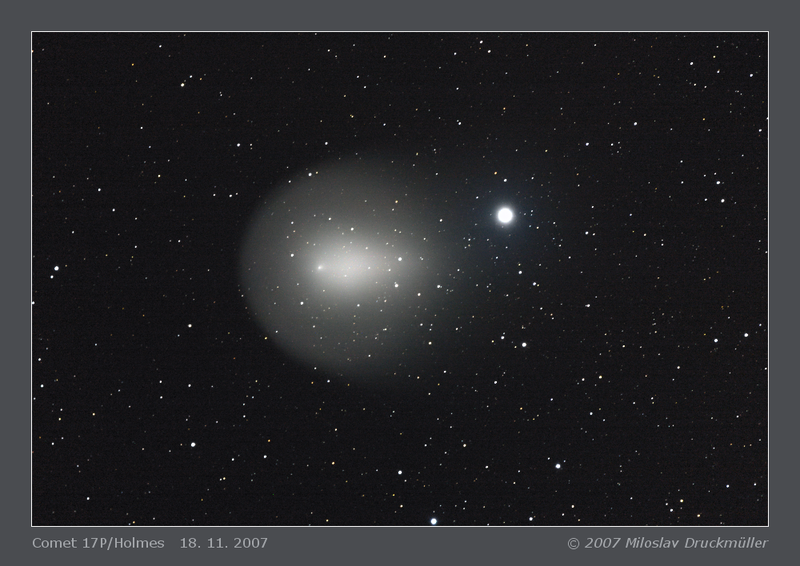 This image shows the encounter of Holmes comet with the brightest star of Perseus constellation. Two different names are used for this star - Mirphak or Algenib. The weather during the night of 17/18 November was nearly hopeless. Finally I was successful and I used a short opportunity which the weather gave me at about 4 o'clock local time. The image presented on this page is made of only 8 images taken through holes in clouds.